As any homeowner knows, the kitchen is quite possibly the most important room of your house. Sure, the master bedroom needs to be personalized and comfortable to help you get the best night’s sleep and the living room is your haven to kick your feet up and relax after a long day at work. However, the kitchen is a place to prepare meals for you and your loved ones, whether it’s a grand holiday meal or pouring cereal into a bowl, and it’s an area to socialize with friends and family. 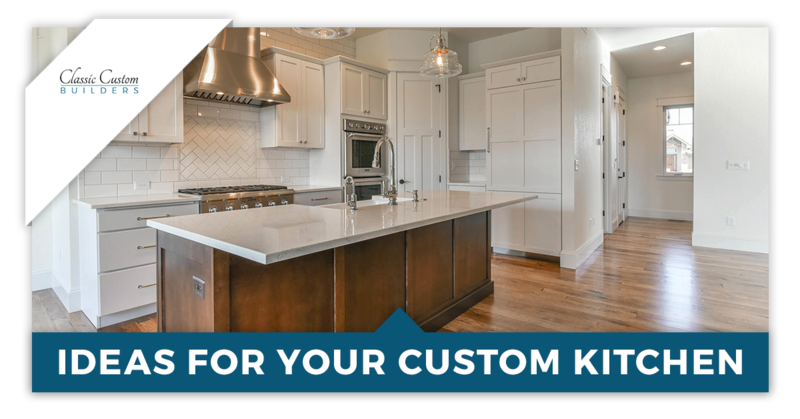 When you decide to build a custom home in Northern Colorado with Classic Custom builders, one of the many benefits that comes with your decision is your vast opportunities for personalization. We have a strong commitment to our customers and turning their dream home into a reality because we understand the importance of building a home that suits your lifestyle and taste. With the kitchen being so important, you’re going to want to take some time to plan out the perfect kitchen space. This blog will give you a few ideas to help you begin to brainstorm. If you’re at a loss for concepts aside from the following, don’t worry! We’ve been building custom homes since 1991, and through our experience and the hundreds of houses that we’ve built, we can help you decide on the ideal layout. If you’re ready to start planning, contact us today! We’re pretty lucky living in Northern Colorado. With over 300 days of sunshine and spectacular views, you’re going to want to utilize this when building your custom home. Don’t have your kitchen dark and cramped. Plan on having plenty of windows in your kitchen, not just for the views, but the natural lighting as well. If you’re a cooking enthusiast, you’re also going to want to have plenty of room to move around so that you can chop, season, cook, and serve with ease. Another benefit of going custom over buying an older home is that all of your appliances will be new, and energy efficient! Depending on your budget, we’ll work with you to find the perfect kitchen appliances for your kitchen. You have a lot of options when it comes to the outline of your kitchen, what it really comes down to is how often you use it and whether or not you plan on having an area for people to eat or just leave that to the dining table. If you’re constantly in the kitchen, make sure that you reserve a lot of space for storage so that the room doesn’t get cluttered. Also, consider whether or not you’d like a kitchen island, or even a countertop that can be used for serving. We know that this is an incredibly short list, so continue to follow our new home construction blog for more ideas for your brand new kitchen. 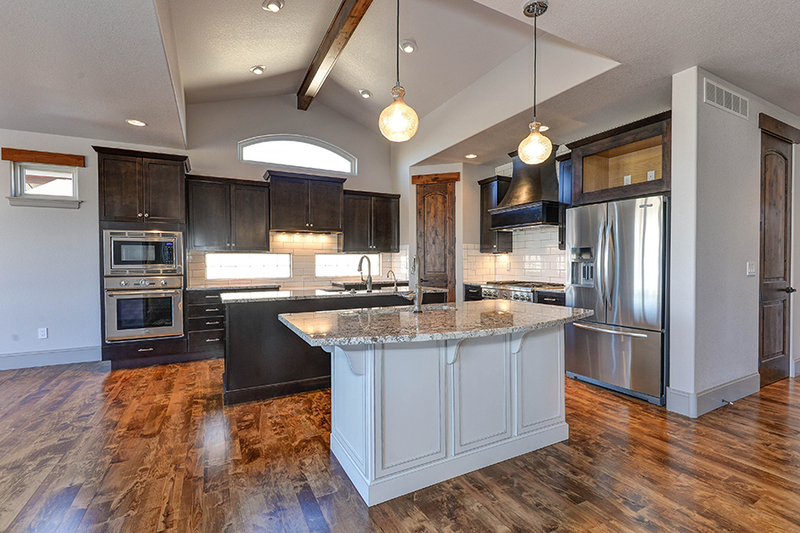 And you’d like to begin building your dream home, contact Classic Custom Builders in Northern Colorado today!